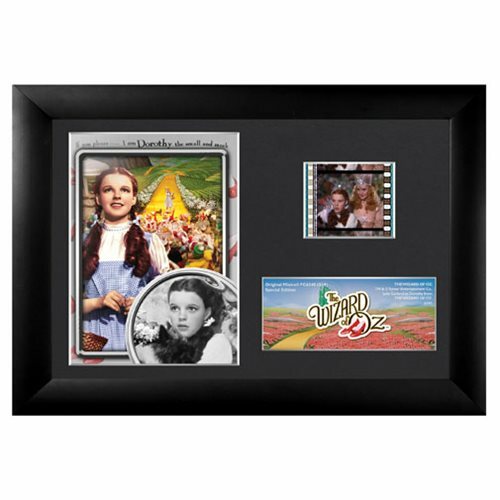 You'll be over the rainbow with the Wizard of Oz Series 19 Mini Cell Mini Film Cell. This framed film cell presentation is a must have for The Wizard of Oz fans. Measures about 7-inches wide x 5-inches tall.